Over 200 people attended the first Allotment Association Apple Day yesterday – thanks to everyone who painted a picture at the school, submitted fantastic apple pies and lanterns for the competitions and supported the event. £300 was raised for the Allotment Association! Don’t forget it is Halloween today and Potter Around is open til 6pm for scary fun! At the Apple Day event Kirknewton Community Development Trust were happy to announce we have been awarded £110,000 to build the new Resource Centre on the old Gospel Hall site, pending planning permission and building warrants. 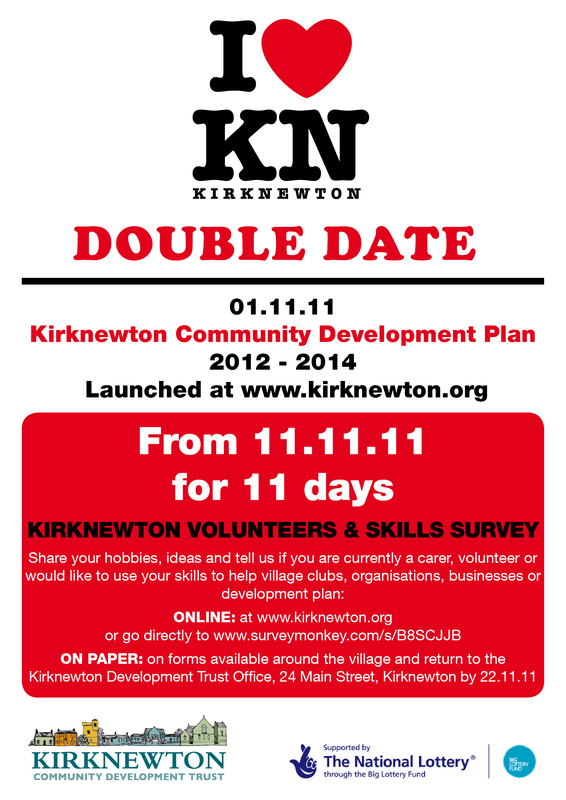 This project forms a big part of the 3 year Kirknewton Development Plan.